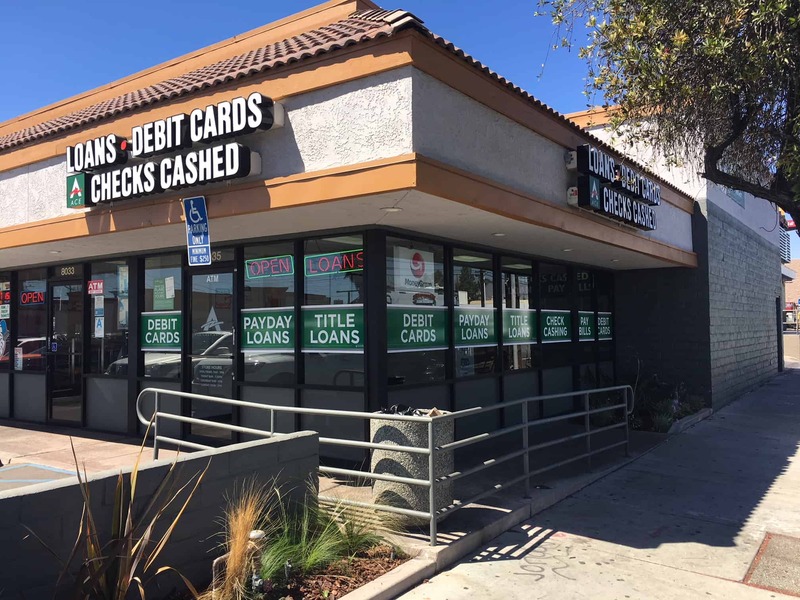 The location of this ACE Cash Express is on Lankershim Blvd near the corner of Strathern St at the intersection of Webb Ave.
LA Metro’s bus service has a stop right at the intersection of Lankershim/Strathern, with bus lines 152/153 and 224 coming to the rescue. Take a peak at the LA Metro’s website for more information. Neighboring this ACE store in South Valley is Tacos El Gordo, Food 4 Less, T-Mobile, McDonald’s and Pizza Hut. ACE Cash Express Proudly Serves Residents of South Valley! ACE Cash Express is here to offer your financial assistance in the form of an auto title loan that could help you qualify for up to $30,0001 in as little as one business day3! Why choose an auto title loan powered by LoanMart with ACE Cash Express? Why wouldn’t you? LoanMart offers several features that benefit their customers in many ways! An auto title loan is based around the equity of your drivable motor vehicle and your ability to repay the loan, where LoanMart uses your title as a form of collateral during your payment period. The best part? You get to drive your vehicle for the duration of the loan with your consistent monthly payments —win-win! LoanMart powered auto title loans are short-term and low-risk loans with terms ranging from 12 to 48 months. LoanMart doesn’t take your credit score into consideration for the FINAL decision—meaning those of you with a lower credit score may be in luck! LoanMart’s application process could take mere minutes and you could even possibly get funded within one business day3! With LoanMart, you become family, that’s why their service representatives are standing by seven days a week to help you with any inquiry you may have. LoanMart is a modern company that has online account access and mobile app, so that you can check your loan’s status and schedule at home or on the go! Ready to Get Started with ACE Cash Express? Upon approval, your helpful rep will contact you about how to obtain your auto title loan funds with ACE Cash Express and national leading lender LoanMart.